$15, 000 REDUCTION! ONE OF THE NICEST END UNIT VILLAs w/2 CAR GARAGE IN PRESIGIOUS SHIPLEYS CROSSING. NUMEROUS CUSTOM UPGRADES. 2 Master Suites, 1st Floor living at its finest! 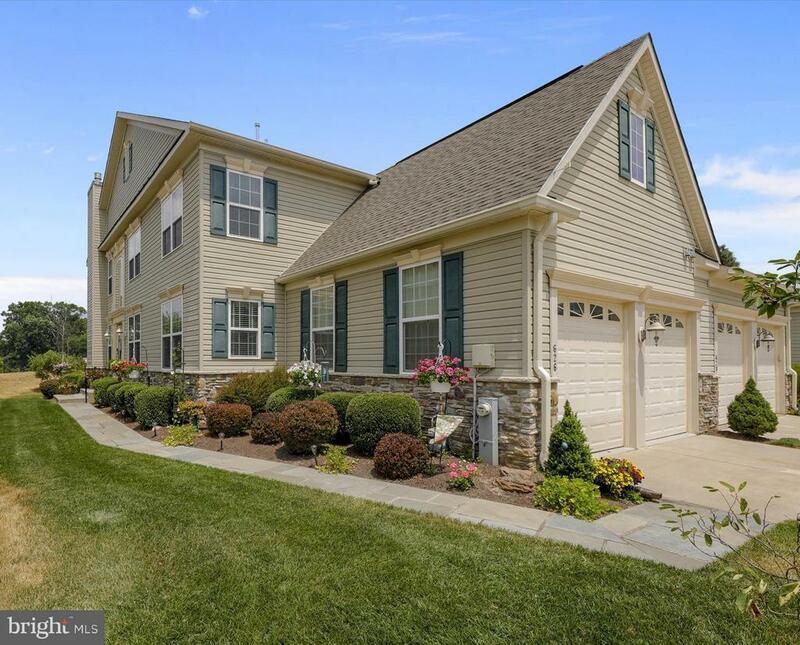 4 Bedrooms, 4.5 baths, fully finished lower level w/office & Full Bath. Active Adult Community w/20% ruling, permanent residents 19+. Lawn care, snow removal, Clubhouse, heated pool, fitness center and walking trails.